Established in 1983, this is British Columbia’s first whitewater rafting resort. 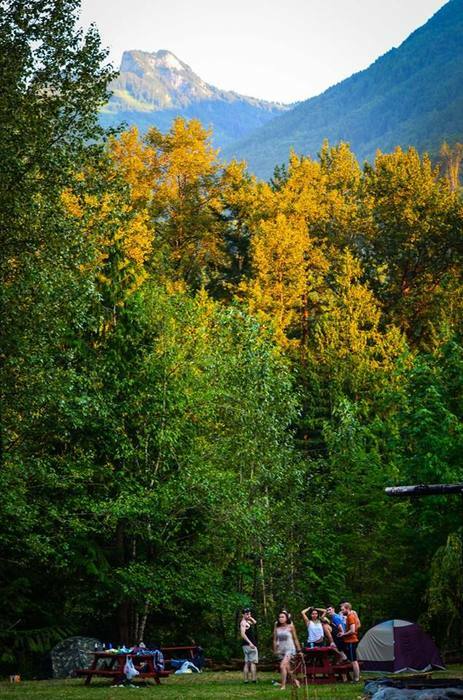 Our base of operations is nestled in the Cascade Mountains right alongside the Chilliwack River, so you’re never far from the action! 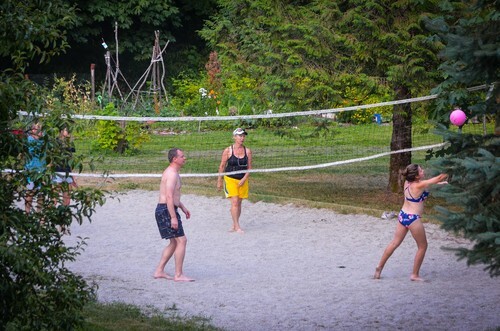 Enjoy a sauna after your trip, or a beach volleyball game before dinner. Indoor and outdoor sheltered areas, hot showers, and fire pits with unlimited firewood are all available for our guests. Our five acres of camping include wide open spaces for large groups and those who like to mingle…and many secluded corners for those wanting a more private get-away. Served buffet style, our hearty cookhouse meals will tantalize your taste buds. Sausage and eggs, Chili and bagels, BBQ chicken and rice are only some of our scrumptious fare. Eat indoors in our clubhouse, under one of our sheltered outdoor eating areas, or picnic it beside a fire. We cook, you play! Vegetarian options, tea, coffee, and juice available with every meal.